You’d think this would be a fairly obvious. At some level, I knew this was going to happen, but I wasn’t prepared for the sheer awesomeness of it. When my first book came I braced myself for negative reviews. What I didn’t prepare for was positive reviews. It somehow escaped me that it was possible for someone I didn’t know to read my book and like it. When I got my first review (which was a lovely 4 out of 5 stars) it was hard to process and I burst into tears. There have been other reviews, good, bad and indifferent for my books since then and I still have a little fizz of excitement that the thing that was once existed only in my head has now moved, via screen or print into someone else’s head. One of the most amazing experiences of my writing life was when two colleagues from my day job started arguing about two of my characters as though the characters were real people. Obviously, I feel my characters are real people. I lived with them in my head for a year and I know them pretty well, but to hear someone else discuss them in that way… mind blowing. Also, very cool. I used to think that selling books was about quality. If you write a good book, it will sell itself. Er … no. A good book with no marketing will sink without a trace. A bad book with good marketing, might sell well. The holy grail is a good book with good marketing. I can write. I spent years learning how to do that and I’m improving with each book. But marketing? I knew absolutely nothing about that. I had assumed that publishers would take care of all that. Maybe, in the dim and distant past, they did, but now they are so stretched and the world of book selling is so competitive, they can’t do all that much. So now I’m reading marketing books and trying to learn this voodoo that is marketing. One day I might even get the hang of it. It took me three years to write my first book, I thought that was the only book I would ever write. It was, as my first NWS reviewer said, clearly a book of my heart. Write another, she said. Write something you’d read for fun. I had a moment of panic. I’d had my idea. That was it. Story written, that idea was now tied down. How did I find another one? How did you get the muse to strike again? As every wannabe writer asks whenever they get the chance where do you get your ideas from? I eventually dug out an old idea (and I mean really old, I’d started writing it as a teenager). It was a weak, thin fragment of a thing. All I really had were two characters, one male, one female. She was cooler than he was. Not much of a story, really. I gave him a problem (he wanted a promotion at work). I gave her a problem (she’s hiding from something). I drafted a plot – thin and weak, but it was a start – and sent it to my writing partner. She came back with a load of questions. Slowly, slowly a plot emerged. Writing book 2 taught me that ideas rarely come to you fully formed. They take work. This was a liberating thought. All those pathetic looking fragments of ideas have the potential to be fully fledged. I may not have many fully formed story ideas, but I’ve got TONS of unformed storylets. Nowadays I look back at the Where Do You Get Your Ideas From terror of a few years ago with amazement. These days, my problem is not the lack of ideas. It’s deciding which of the half formed storylets that are clamouring around in my head should be developed next. I got my head around the fact that you need to network to succeed in this business (thank you Sue Moorcroft for that invaluable piece of advice). I’d always thought of networking as a tedious, superficial thing. Now, several years on, I have a circle of writer friends whom I’ve met only because of my writing. Most of them are members of the Romantic Novelists Association. They are personal friends now and we talk about all sorts of things that have nothing to do with writing. Joining the RNA was probably one of the best decisions I ever made – not just for my writing, but for my happiness in general. I’ve written bits of stories since I was a child and I thought I knew how to write. In my mid twenties, after I’d handed in my PhD and got a real job, I thought I’d start writing fiction again. I found the BBC Get Writing site. It was a great place where experienced writers mentored newbies and gave good (sometimes harsh) feedback. I learned how to write at sentence level. I learned about the really important basics like word choice and impact and rhythm. I practised it and practised it until it sank into the bone. My writing improved. Then I started hanging around the Harlequin message boards. I learned about plots and character arcs, black moments and denouements. I joined the RNA – where I learned even more about theme and resonance and plot. Each of these lessons have made me a better writer. I still read books on writing and go on courses. Essentially, I’m still learning how to write better. The day I stop learning is the day I’ll stop improving. That’s not going to happen any time soon. 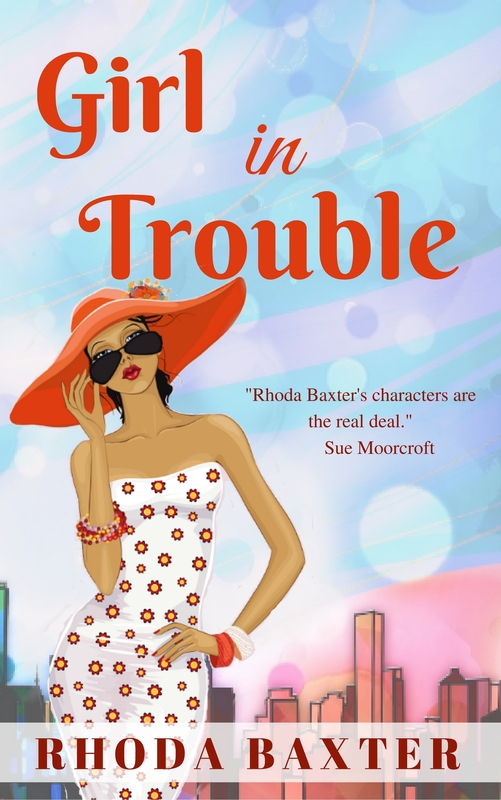 Girl In Trouble – Published today! On special offer of 99p until 15th October! When the things that define you are taken away, do you fight? Or compromise? Walter’s ex is moving his daughter to America and Walter feels like he’s losing his family. When his friend-with-benefits, Olivia, discovers she’s pregnant by her douchebag ex, Walter sees the perfect chance to be part of a family with a woman he loves. But how can Walter persuade the most independent woman he’s ever met to accept his help, let alone his heart. Girl in Trouble is on special offer at 99p until 15th October, after that date the price will increase to £2.99. If you buy the book before the 15th of October you will also get a book of short stories and a companion recipe book (containing recipes from the prequel Girl Having A Ball) absolutely free. 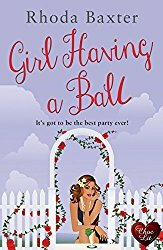 Rhoda Baxter writes contemporary romances with heart and a touch of British cynicism. 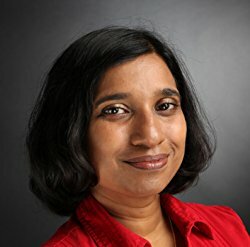 her books have been nominated for a variety of awards. She lives in Yorkshire with her young family and is on a mission to have afternoon tea in as many cake shops as she can. You can find her wittering on about science and romance and cake on her website (www.rhodabaxter.com), Facebook or on Twitter (@rhodabaxter). Do say hello. When I first started thinking seriously about writing a novel, I asked the successful local writer whose evening class I was attending how to structure a novel. She said to me, “I always struggle with structure. I’ve got a friend who helps me with it.” It wasn’t the most helpful of responses but because she didn’t give me the answer I needed, I had to look elsewhere. For a long time it felt like there was a conspiracy of silence about structure and novel writing as if novelists are just supposed to know. When I started doing my MA in creative writing I discovered that if I wanted to know about structure then I needed books written for screen writers. The reason for that is that every Holywood blockbuster you’ve ever seen conforms to the same basic plan. You can dress this up in different ways and call it a three act structure or a five act or Freytag’s pyramid but when you look closely you’ll see that all stories have some key building blocks. First of all there has to be an inciting incident which is the thing that happens to kickstart the story. In crime fiction, it’s the murder. In a James Bond movie, it’s the discovery that someone evil (either with or without a white cat) is threatening world peace. In romance novels it tends to be something a little less dramatic. In Pride & Prejudice it would be Darcy saying “She is tolerable but not handsome enough to tempt me” at the Mereton assembly. In Sleepless in Seattle it’d be Annie saying ‘magic’ at the same time as Sam. It’s the inciting incident which introduces the protagonist to a new world (for Lizzie, the world of wealth and privilege Darcy inhabits) and starts them on a journey. The midpoint isn’t just what happens in the middle of the story, it’s the point where the protagonist changes. It’s where they realise that there’s no way back to the old life they used to live. But at this point, the protagonist is pretty confused by their new knowledge and doesn’t know how to handle it correctly. In Skyfall its when Bond has Bardem in his custody and realises the strength of his enemy before Bardem escapes and the tube train crashes through the roof of the M15 hideout (I love that bit!) In Pride & Prejudice the midpoint is when Lizzie gets Darcy’s letter and realises she’s had him wrong all along. But not only does she not know what to do with this new knowledge, she doesn’t realise that she’s falling in love with him. The crisis is where things go really badly wrong. It’s when all hope passes away. It’s the moment when you’re yelling at the screen ‘Oh no!’ It may be a death (often of someone close to the protagonist) or in a romance the point where it seems the couple can never get together. 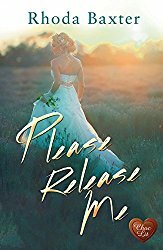 For Lizzie, it’s when she realises that Darcy is the perfect man for her but through Lydia’s marriage to Wickham, they are forever separated. The function of the crisis is to prompt the protagonist to ask themselves what kind of person they are. It’s a test of character. 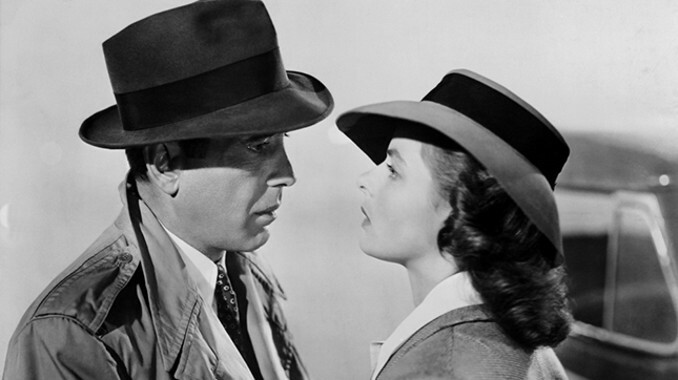 In Casablanca, it’s when Rick realises he has to change his essentially selfish ways and let Ilsa go. The climax, as you’d expect, is the final showdown with the antagonist. It’s what the story has been building up to. It’s the moment when the protagonist faces the antagonist and everyone comes out fighting. In Skyfall it’s the battle at Skyfall House with Bardem. In an Agatha Christie it’s when all the suspects are gathered together and Poirot talks them through the investigation and then reveals the identity of the murderer. In Pride & Prejudice it’s the moment Lizzie stands up to Lady Catherine De Burgh and, without realising it, gives Darcy hope that she does actually care for him. After the climax is the resolution which is the final judgement after the battle (physical or metaphorical) of the climax. 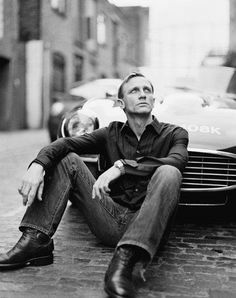 James Bond saves the world and gets the girl. 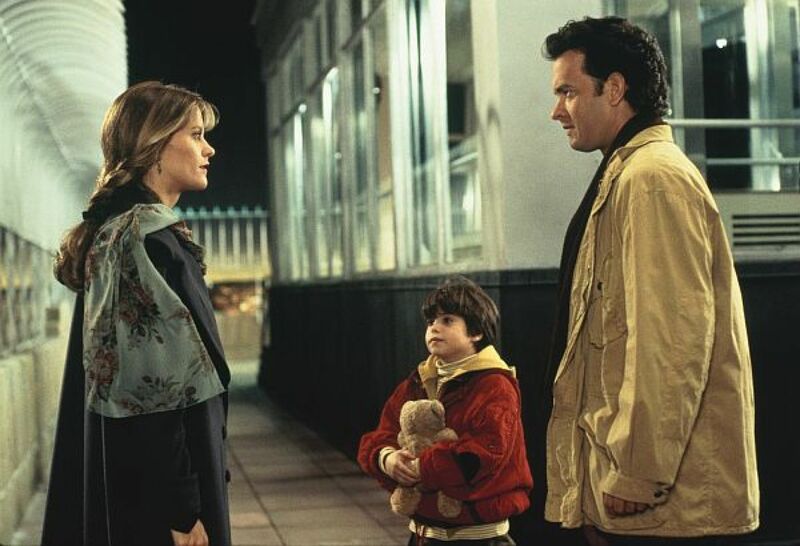 In Sleepless in Seattle it’s the moment Annie and Sam finally meet. 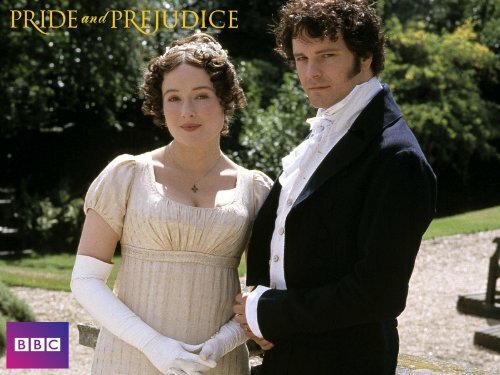 In romance fiction it’s the happy ever after and Pride & Prejudice gives us a good example of that as we have Darcy’s second proposal and acceptance by Lizzie and also her saying (because she’s learned some things as all good protagonists have to) “She remembered that he had yet to learn to be laughed at, and it was rather too early to begin”. This is a very quick overview, of course but I’ve found it really helpful to break structure down to these building blocks. If you’d like to know more I strongly recommend Into the Woods by John Yorke which is a brilliantly clear book on structure and how stories work. If you’re in Yorkshire then I’m doing a workshop on stories and how to tell them on Sunday 17th September at Owl & Monkey in York and you can find out more about it by clicking here. My novels Beltane and The Dirigible King’s Daughter are available from Amazon as ebook and paperback. You can find out more about me on my website or can follow me on Twitter at @alyswestyork. Images reproduced courtesy of the BBC, Tristar Pictures, MGM and Warner Bros.